Sometimes, when dealing with object detection one might find that the object is imaged with high values of red, green or blue. For instance this happens with traffic lights, tail lights, traffic signs, etc. 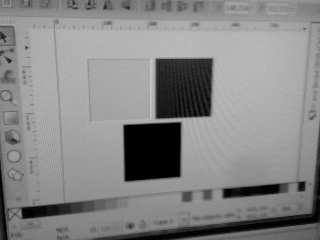 Working with RGB images is the very basic first step. If you look for a red object, keep the Red channel and forget about the others. 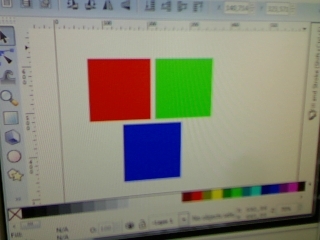 This image indeed has high values for the “red” box, but the white regions have high values as well, so the red box could be difficult to detect. Which is much closer to what I wanted when trying to “detect” red regions in the image. Here you are the code, hope it’s useful! 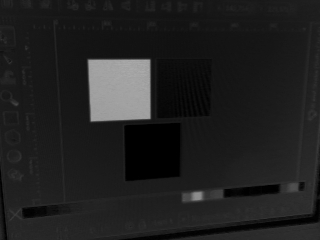 This entry was posted in OpenCV and tagged color, OpenCV. Bookmark the permalink. Why would you use this method instead of inRange? Yes, cv::inRange can be of help, but I still think this way is better because it doesn’t need to define the range. I found this and added my function to try them both. For the image they posted, both functions return the same, but for the one I posted, only my method returned the correct image.